Here’s a guest post from our friends over at ZingInstruments.com who is almost as obsessed about drums as I am! Do you have what it takes to be a first-rate drummer? Do you possess the musical—and physical—prowess to excel in this rhythmic vocation? These are questions you should definitely explore before investing in a top-of-the-line, professional drum kit. Outstanding drummers possess a number of unique qualities—talents that enable them to shine in their chosen hobby or profession. Sadly, however, not every person with musical aspirations actually has what it takes to truly make a drum sing. To see if you are qualified to keep the beat, below we will highlight 7 crucial qualities that every drummer should possess (or be able to learn), and explain why each of these traits is so very significant. Just like the rhythmic beats of your heart are crucial to your overall health, so, too, is your inner rhythm important to your drumming. If you’re uncertain about this quality, try the clap test to your favorite song. If you feel like you are clapping on the 2nd and 4th beat—as opposed to the 1st and 3rd beat—you might just have the essential rhythmic timing. Playing the drums can be physically exhausting. Not only is a great level of physical fitness required when playing on stage, but also during the seamlessly endless hours of, practice you will endure. Fortunately, a consistent regimen of strength training and cardio exercise can ensure you are physically up to the task. As a drummer for a live band, you are the keeper of time and tempo, and the backbone of the entire group. If the music starts to go astray, it is your responsibility to get things back on track, which will require you to be calm, cool and collected in the face of pressure. If walking while chewing gum presents an everyday challenge, you may want to develop a passion for something other than drumming. Drummers are required to use their arms, hands, legs, feet and brain in concert with each other. Thankfully, there are books and lessons to help develop drum-specific coordination, but having at least some level of dexterity going in will definitely be helpful. 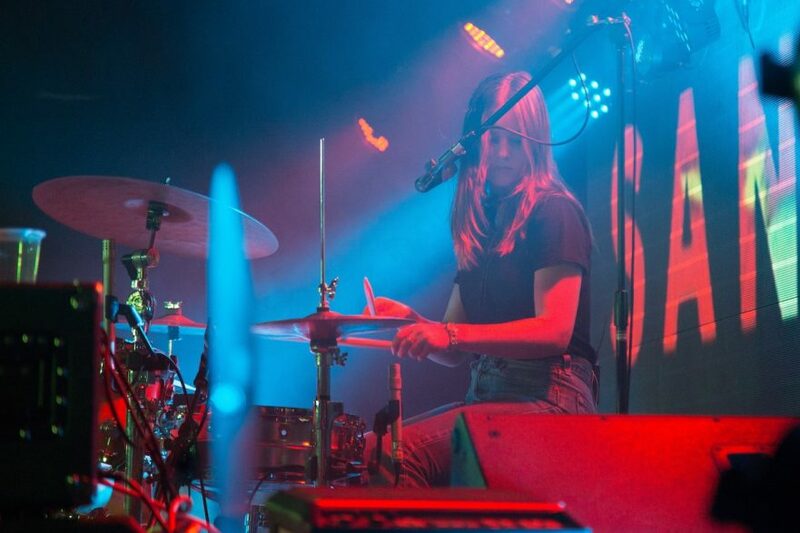 If you’ve ever watched a professional drummer off the stage, you have probably noticed that they tend to create beats on almost everything around them; from trash can lids to milk cartons, constantly striving to hone their skills. Practicing throughout the day on objects other than drums will only make you a better drummer. Becoming a great drummer is unquestionably difficult; it takes hours upon hours to develop the necessary skills to excel. As such, you will need to practice daily to become a great drummer, starting with the drumming equivalent of “chopsticks” before graduating to more difficult beats. The slogan of the Boy Scouts of America—Be Prepared—also applies to great drummers. As the captain of the band, it is paramount you show up early and ready to go, ensuring all the click tracks are ready, charts are written and the musical path is defined. The physical, mental and musical requirements necessary for becoming a great drummer are many, but with perseverance, leadership and preparation nearly every (musically-inclined) person can eventually become good or great in this exciting field.